On my way south in the summer vacation, I stopped off in München and paid a visit to the Pinakotheke der Moderne (modern art museum) in order to see “Feininger at Harvard: drawings, watercolours and photographs”. (The museum itself is worth seeing for the architecture alone!) I first came across Feininger’s paintings 4 or 5 years ago, and am still intrigued by his style and how he did it… This exhibition provided some of the missing pieces in my Feininger puzzle. In his sketches, it is more obvious how he manipulated line in order to abstract an image while leaving it recognisable. In places, he thwarted perspective by altering lines such that they no longer led to the vanishing point. These subtle changes are not immediately obvious but contribute to a change in perspective – there is a move towards abstraction. 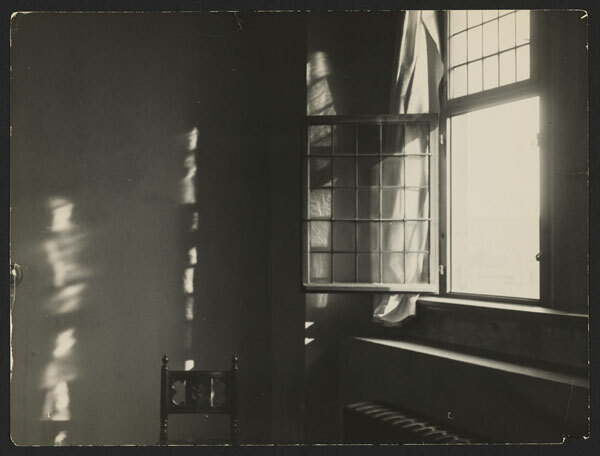 Feininger went through a period of his professional life during which he took a large number of photographs and he drew and painted from these. The subject of Feinger’s photographs is always light . 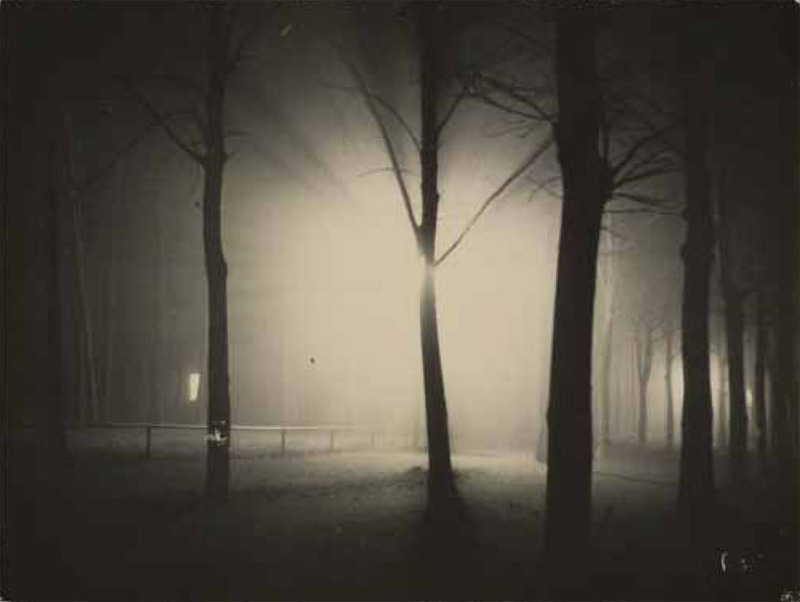 Many of his photographs were taken at night using streetlighting rather than flash. He also favoured adverse weather conditions, such as fog or storms. What emerges from these photographic images is the negative space into which an abstracted image of a building or street scene can move. These are the light spaces of Feiniger’s paintings. When photographs and sketches are placed side-by-side, it becomes clearer how he achieved his dramatic lighting effects, such as in his painting Grützturm in Treptow . Photographs in monotone that give away only the overall outline of their subject give scope for playing with an image. His best paintings are (in my opinion) those in which he used a limited palette because in these, the effect of the light is more stunning. I would like to study these further with a sketchbook in hand and also experiment with some black and white night photography, or photograph during storms, for example, particularly when the light emerges through a break in the clouds as sometimes happens when a storm subsides. To do this effectively, I would need a camera that allows control of aperture and speed… i.e. a better digital camera than I have at present! Feiniger also exaggerated certain features of buildings, such as making them taller and thinner – similar to an effect that can be achieved by applying a distorted grid, I imagine. Perhaps I will explore this in a later unit when focusing on buildings. As with Caulfield, Feininger also sometimes mixed perspectives so that, for example, looking down a street, the viewer might simultaneously see buildings from the side as well as face on. He also shifted verticals, such as the walls of buildings, such that they were skewed, producing unexpected angles with the street or neighbouring buildings. This can be see in Grützturm in Treptow (link above). 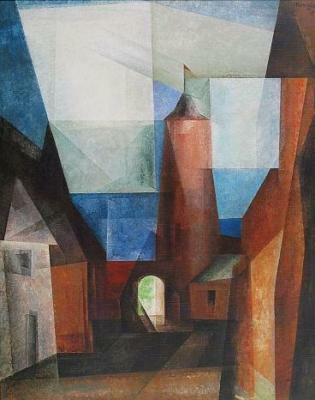 Some of the points mentioned here are manifest in Feininger’s Watercolour of Eutin . Although the site is under construction, there is a great PDF you can read. Next Next post: Assignment 1: Still Lifes of Natural and Synthetic objects.